Porsche sales boss Detlev von Platen says a diesel version of the new Cayenne makes sense for customers who "want range and torque." 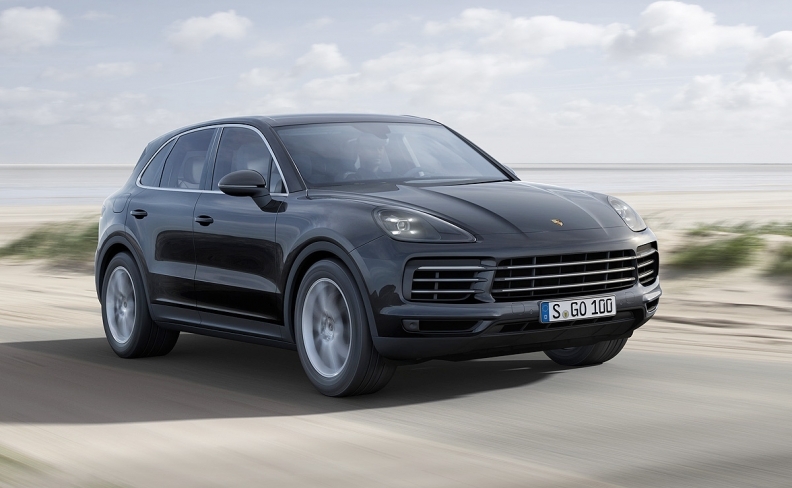 STUTTGART -- Porsche expects to launch a diesel version of the new-generation Cayenne SUV this year and may offer the powertrain in the smaller Macan crossover as well, a top executive said, denying reports that the automaker plans to abandon the technology. "We're not saying that we are exiting [diesel]," Porsche sales chief Detlev von Platen told Automotive News Europe and sister publication Automobilwoche here last week. "Presently, the planning process foresees one for the Cayenne and probably for the Macan, too. For the SUV models, it [diesel] makes sense where customers want range and torque." Porsche debuted the new Cayenne at last year's Frankfurt auto show. The Macan is due for a face-lift this year as it starts the second half of its product life cycle. The next-generation Macan, most likely due in 2021, is widely expected to be offered with a full-electric variant. Porsche recently doubled its five-year electromobility spending to 6 billion euros amid increasing government pressure on automakers to reduce emissions. When asked when the Cayenne diesel might reach European markets, Von Platen replied: "Likely in the course of this year." Amid reports Porsche had decided to stop output of its diesels, Von Platen downplayed the powertrain's importance to the brand, which neither builds nor develops diesel. It sources the ones it uses from Volkswagen Group sister brand Audi. "It was never extremely relevant. Only about 14 percent of the 246,000 cars we sell worldwide are a diesel," said Von Platen, who sees greater potential for Porsche's electrified range. "We see big demand for our plug-in hybrids, especially with the latest generation, now that its electric range was extended to 50 kilometers [up from 36km]. That plays a big role." Until the brand's integration into VW Group in the summer of 2008 and subsequent change in management, the sports-car maker was strongly opposed to using diesels. The first diesel in the range came early the following year in the Cayenne.